Last June, I was parked at Locust Projects in Miami and stoked to talk to Diego Orlandini of Aimful Media. 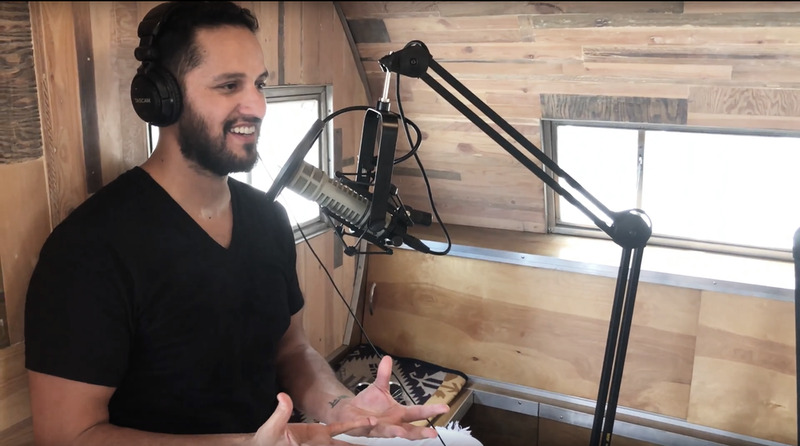 We were gonna talk about his latest book series - the Wynwood Coloring Book and the Ultimate Street Art Coloring Book series, bringing together artists from the block all the way to Banksy. Miami has the best murals in the world right here in the Wynwood neighborhood. You must have heard of Wynwood Walls. It’s a mecca for muralists, graffiti artists and I was here for Art Basel 2017 and it was madness. Like I couldn’t get cell service because every street was a mob of selfies being uploaded. But how do you monetize public art? I get asked this all the time. Let’s look at Wynwood and let’s look at what’s different because of the murals. People are here snapping selfies, properties are going up and they budget out murals. It’s a must. I know readers are thinking… “Aren’t you ripping off artists?” “Aren’t you copying their work?” Slow down and look at what Diego’s done. He literally contacted hundreds of artists, then he outlined every one of these artworks digitally, think about how long that takes, then compiled and designed a book, a work of art in its own right, then he crowdfunded that. And let’s be honest here. Maybe he didn’t really need permissions, maybe this falls very close to fair use since he made his own creation here. He did the right thing by collaborating no doubt and that’s why I wanted you to hear his story. Diego had a lot to say about authenticity and "knowing thyself". Specifically don't try to be an artist that you're not, just be yourself. He talks a lot about his philosophy to collaborating on the first street art coloring book. What's the value of being an authentic artist? How do we collaborate as creators?